No... I'm not joking, you know... And this is not a scam. You can get a year supply of shoes for free!!! How cool is that??? Z'NG is giving away 12 pairs of shoes on their Facebook to one winner each month starting from January. Those shoes are worth RM3,000!!!! If you haven't heard of Z'NG, it is a footwear brand house under ZNG IMPRESA. Designed and developed in Malaysia, Z'NG is a true blue local brand. Creation of each footwear has to undergo three major criterias - sophistication, practicality, and price accessibility. 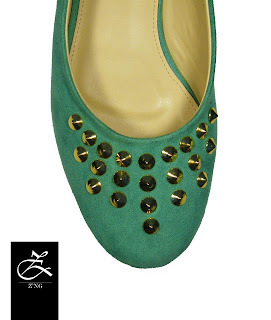 Currently Z'NG is working on their online store and flagship store opening in Kuala Lumpur. Prior to their opening, Z'NG already collected so many amazing fans along the way such as Winnie Loo, the founder & creative director of A Cut Above. The brand is also endorsed by my dear friend Hanie Hidayah, blogger extraordinaire and Wendy Lee, President of Malaysian Association of Brand & Image Consultant. I am really looking forward for the launch of Z'NG's online store and its flagship store after browsing through their designs. 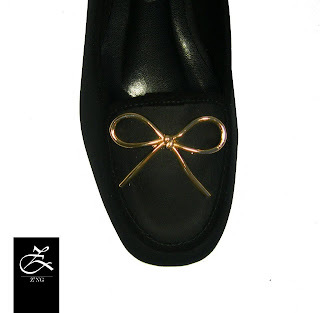 I can't wait to get my hands on the shoes, especially the black ankle boots and the sparkling peep toe heels. While waiting for the official store to be launched this coming December, please LIKE Z'NG's Facebook page <<here>> and check out their pre-launched store. And don't forget the exciting contest that is running on their Facebook page. 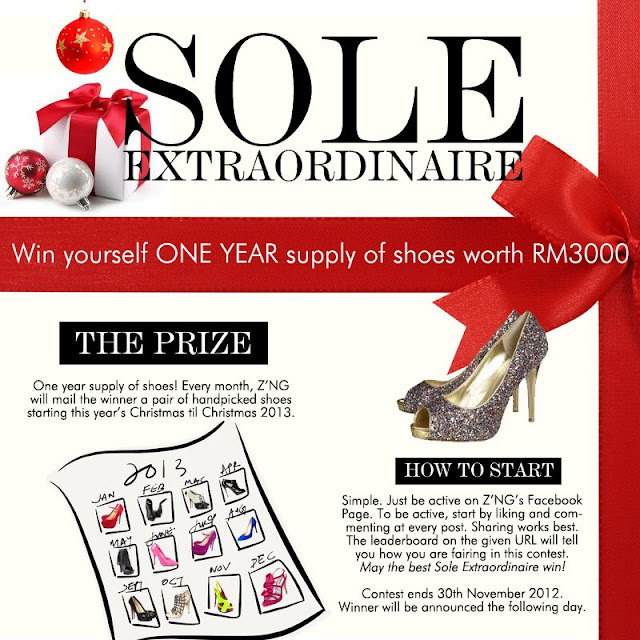 Who knows you'll be the one who will win a one year supply of Z'NG's designer shoes?? ?